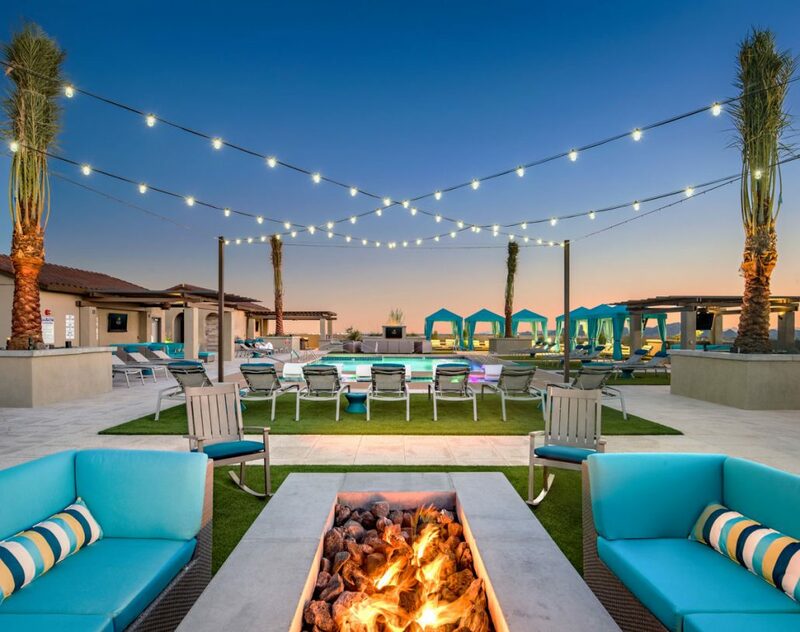 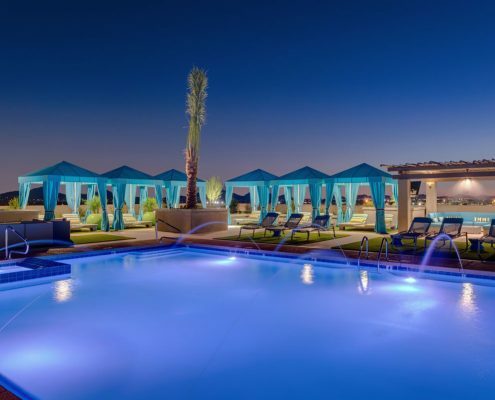 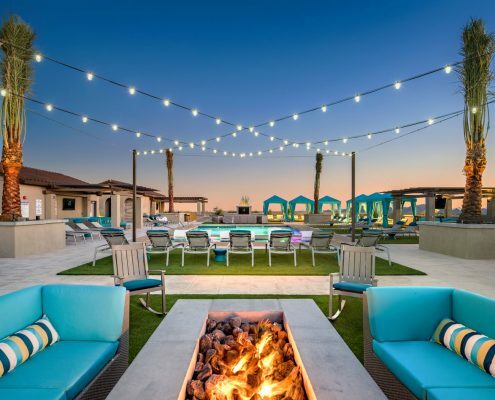 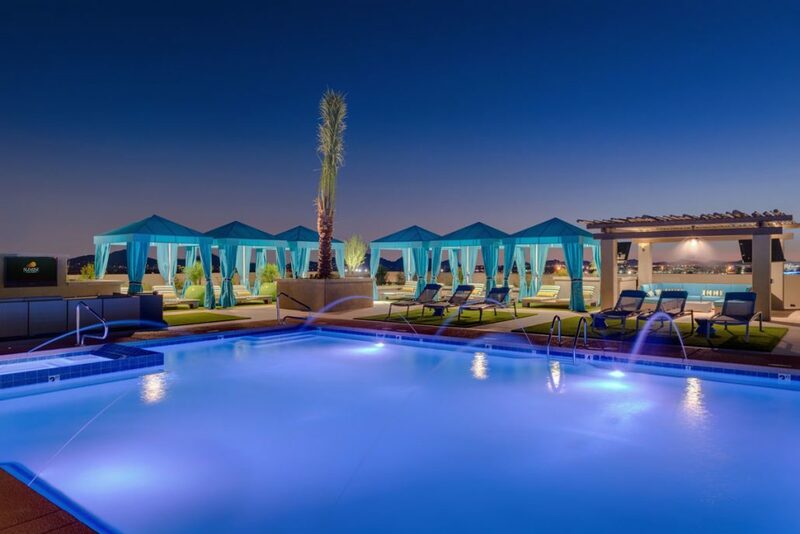 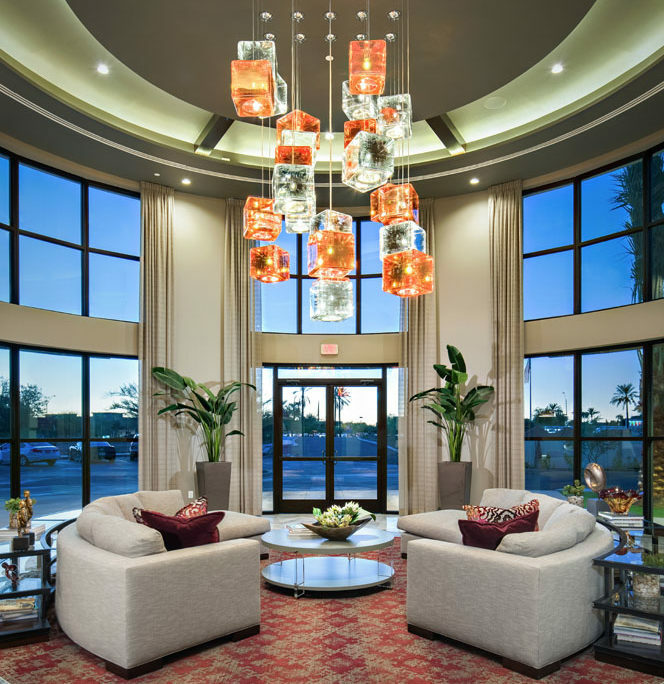 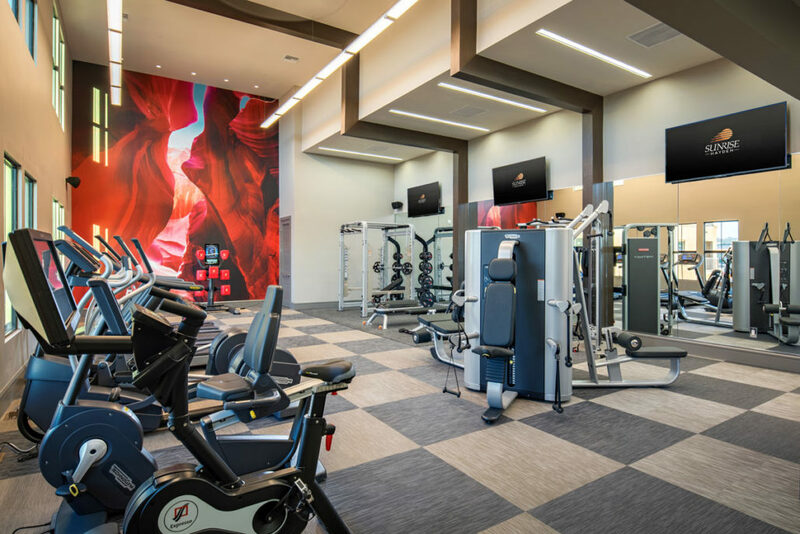 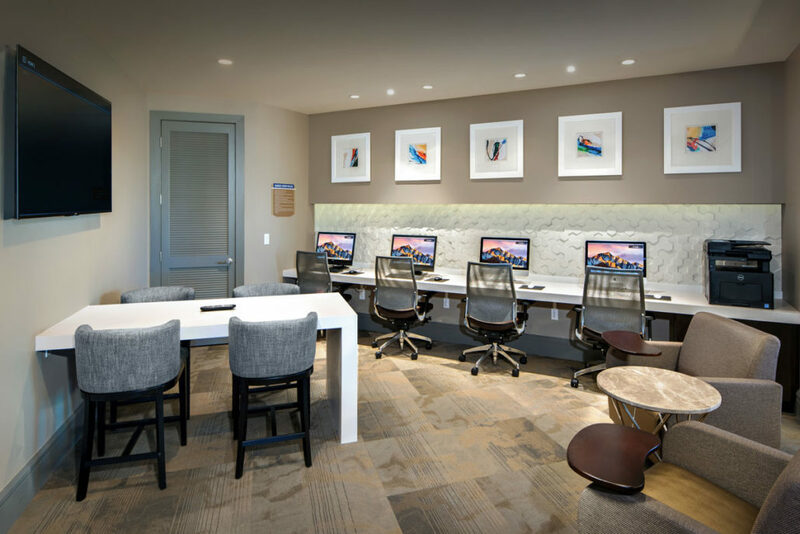 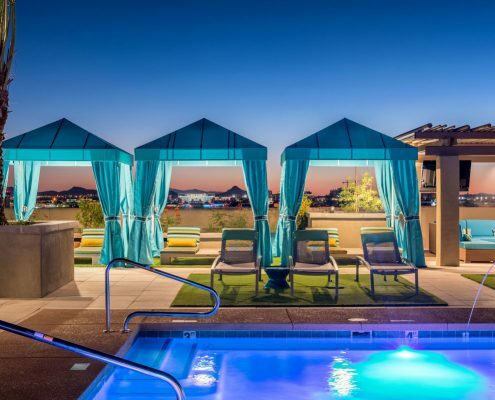 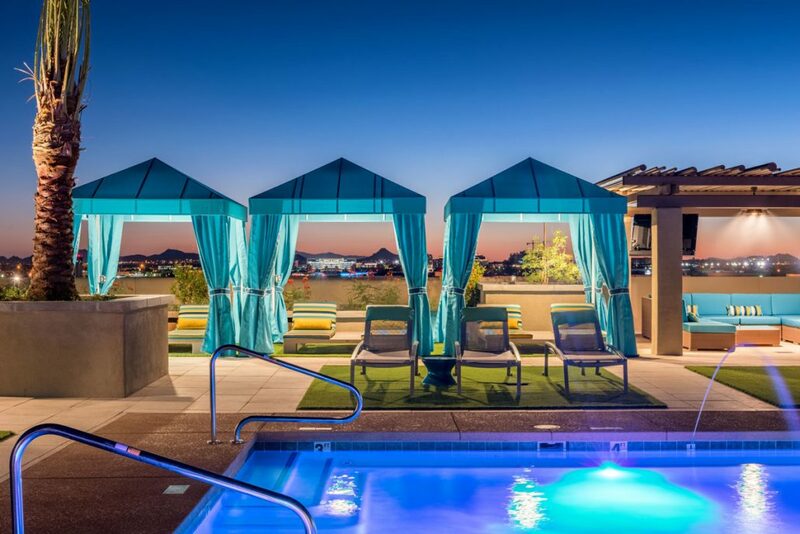 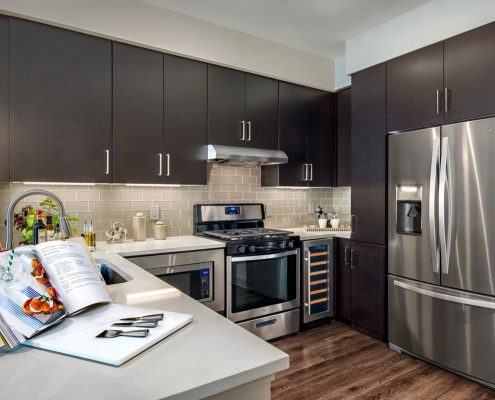 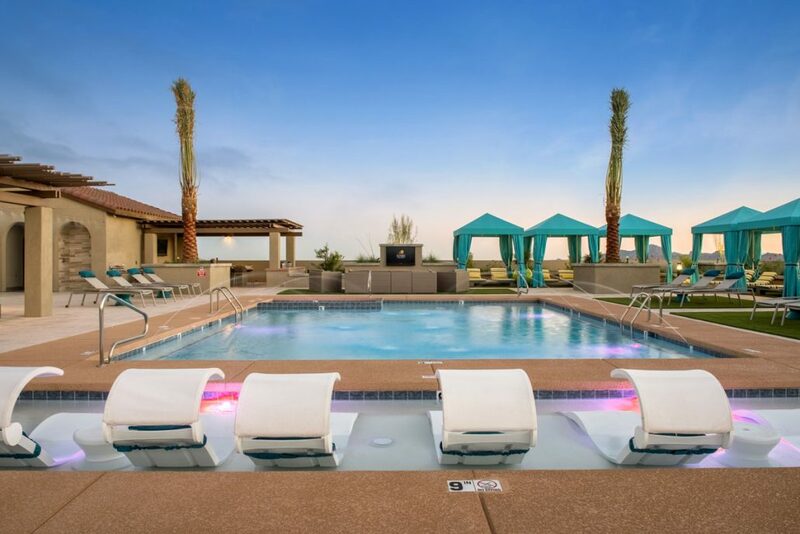 The Core Scottsdale is a lavish styled property located in the heart of Scottsdale, Arizona, attracting a wide demographic from young millennials to empty nesters and retirees. 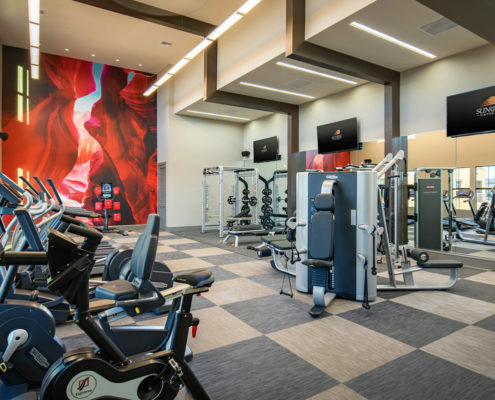 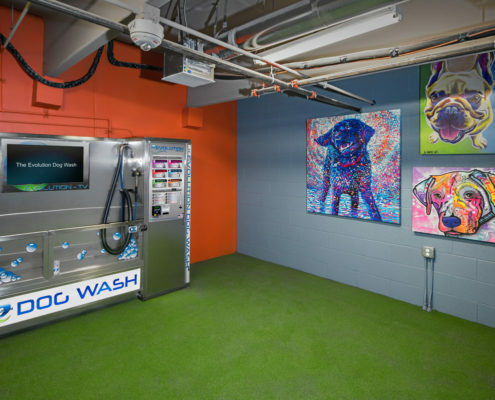 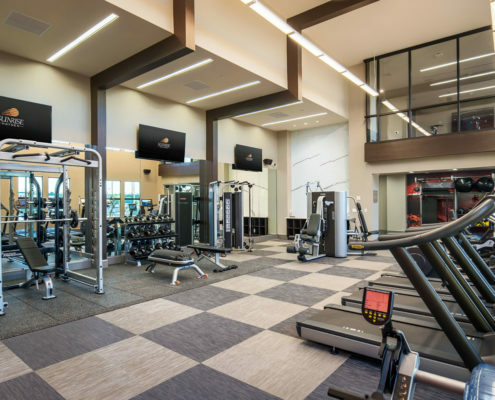 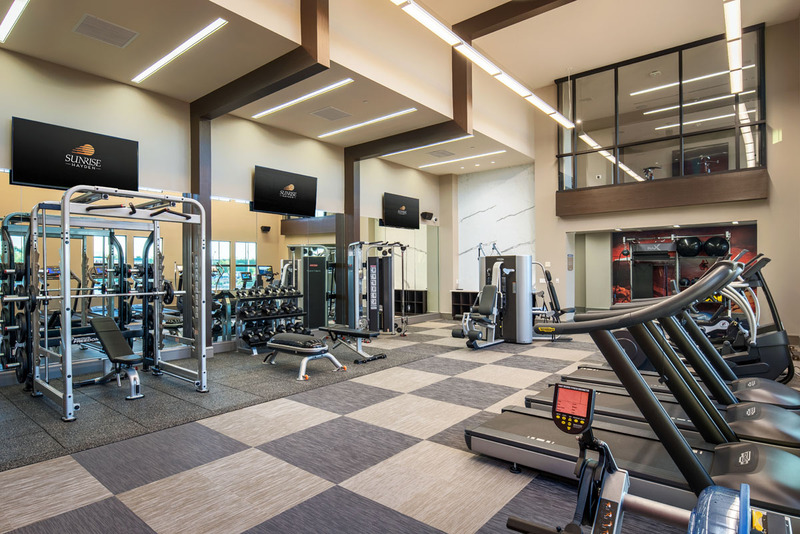 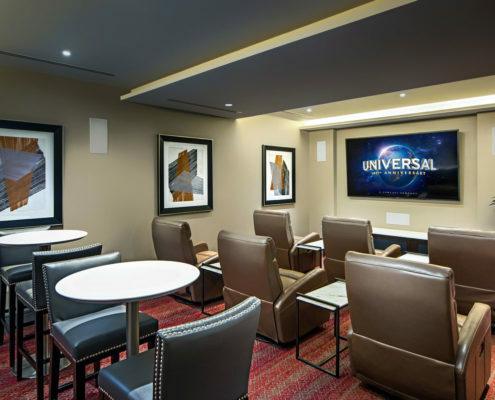 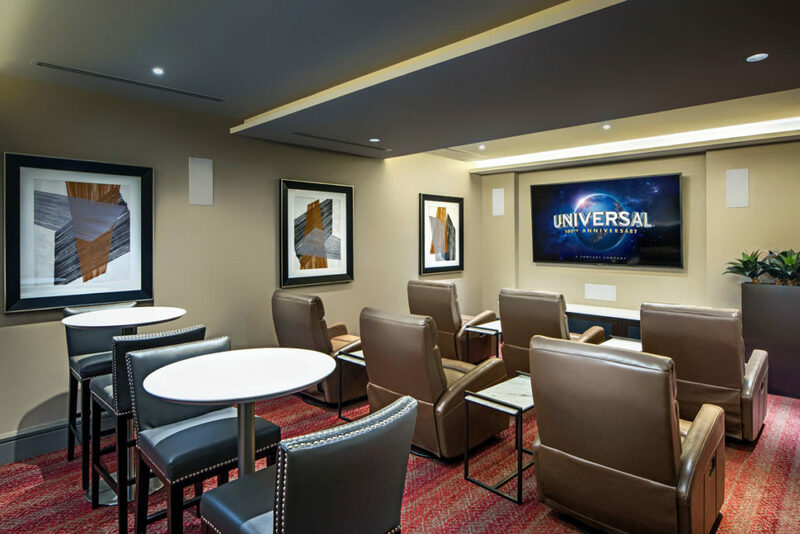 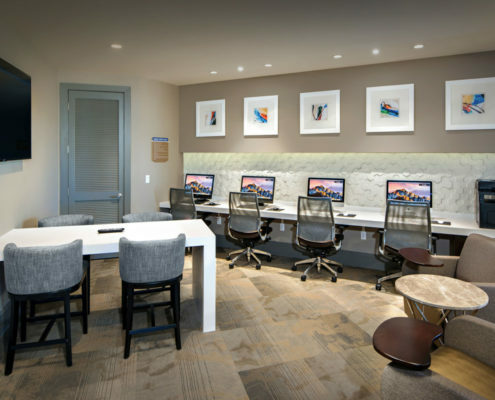 The multi-level leasing and amenity center serves as a central gathering point for residents and community events. 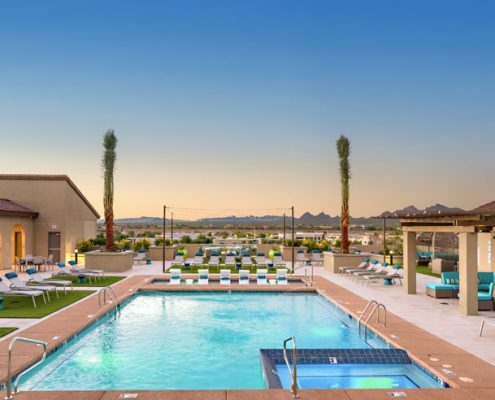 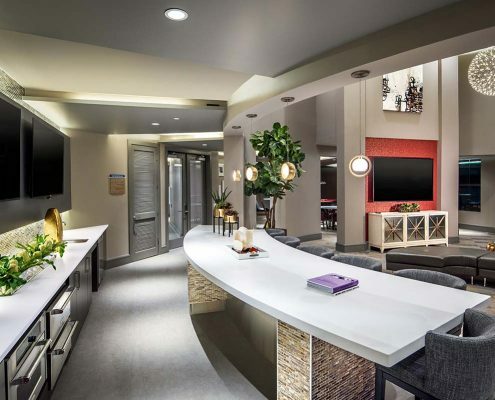 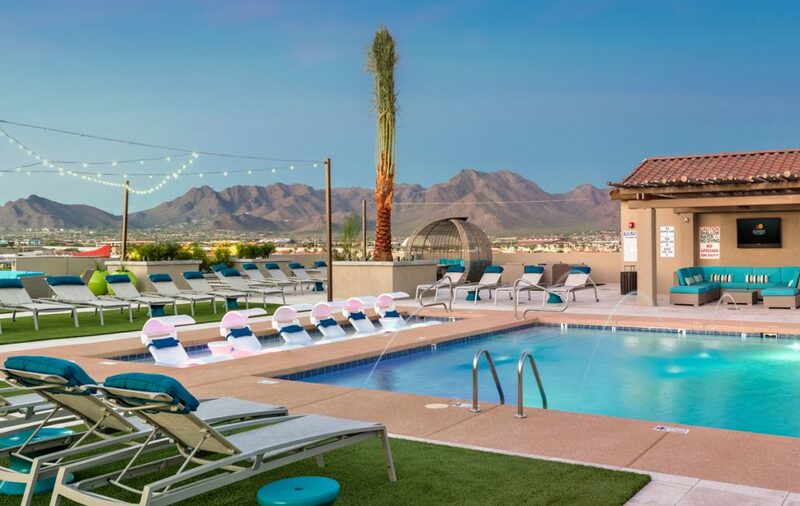 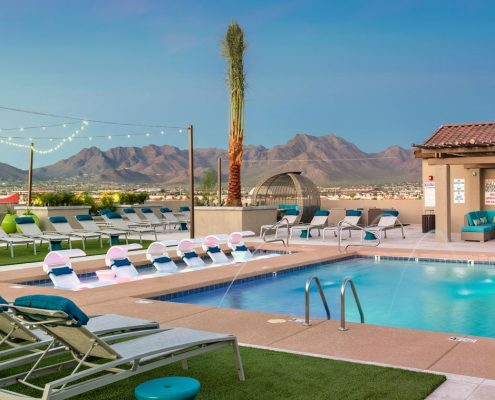 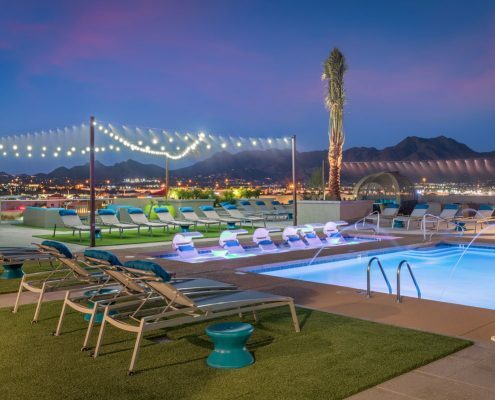 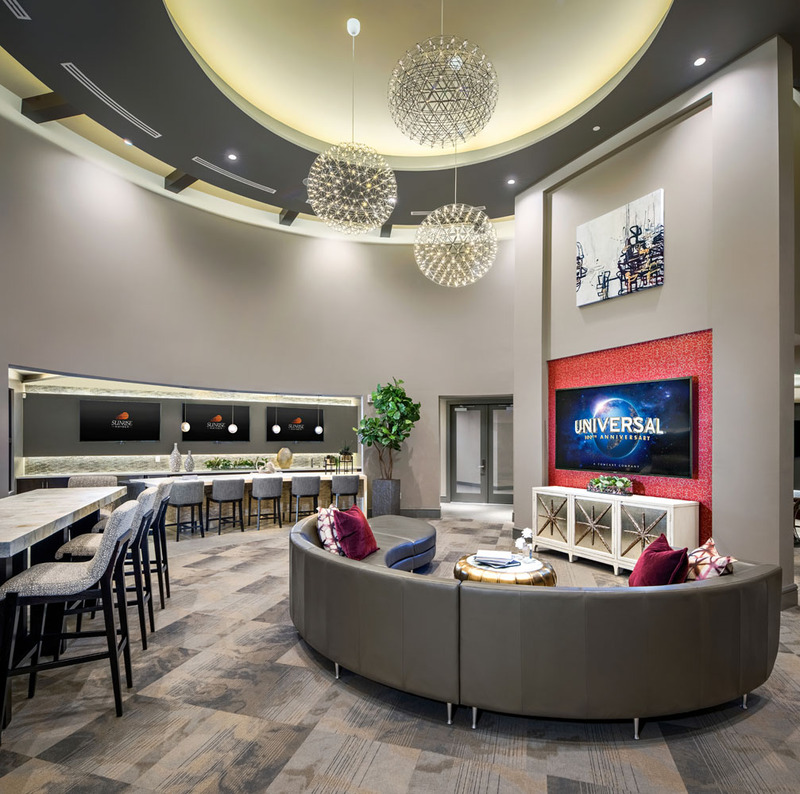 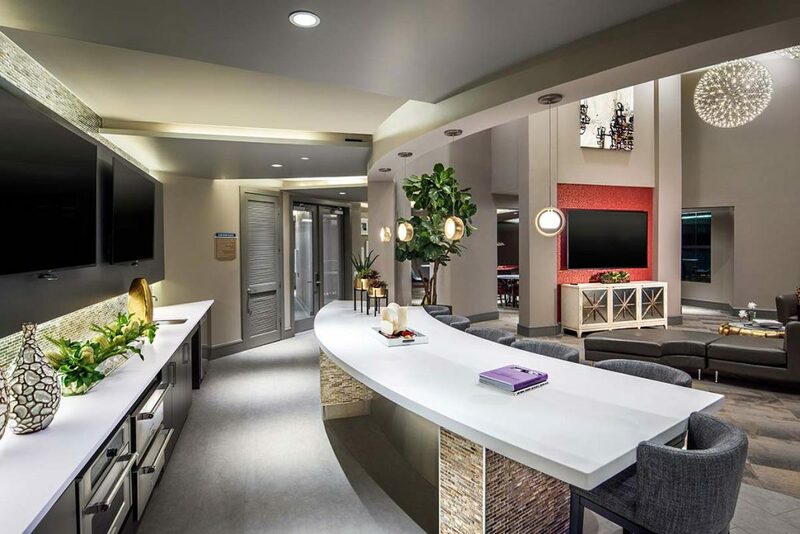 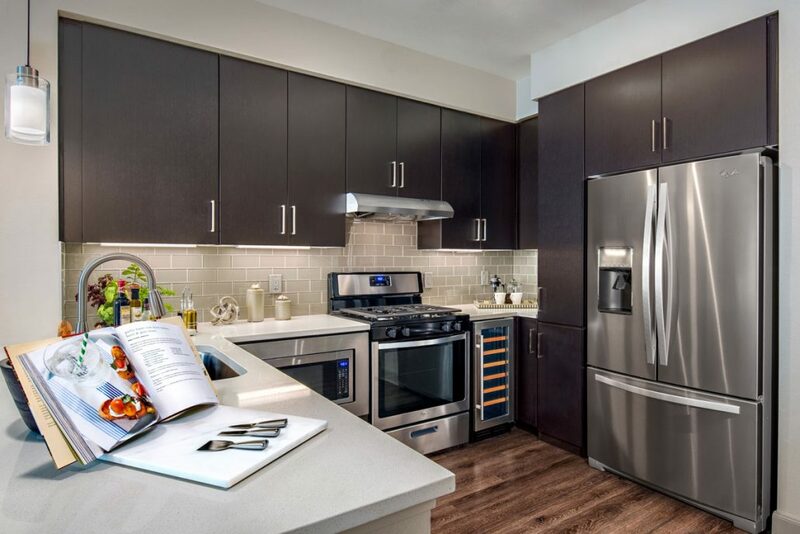 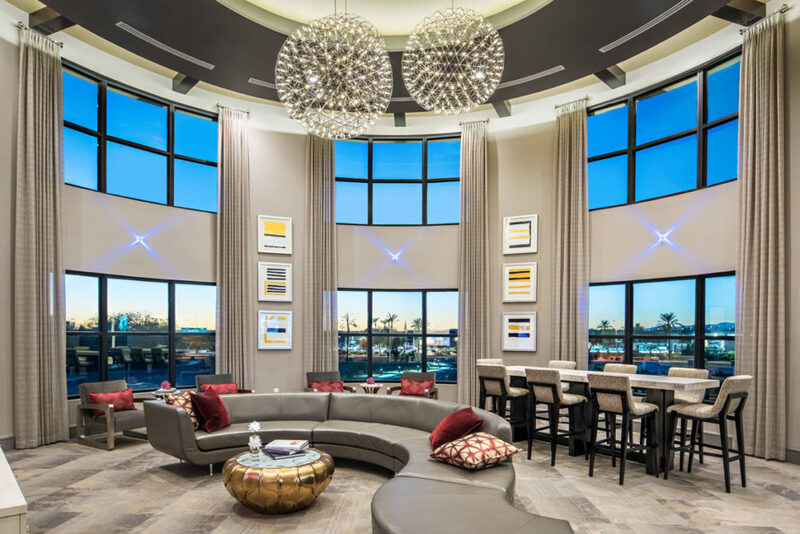 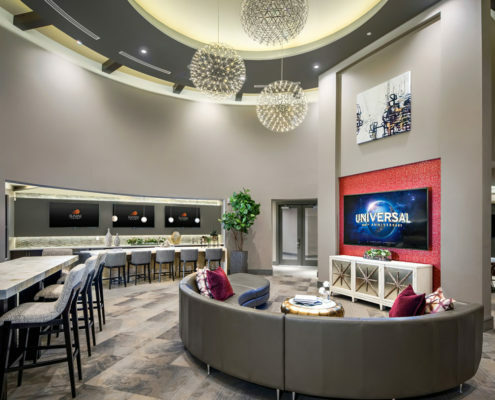 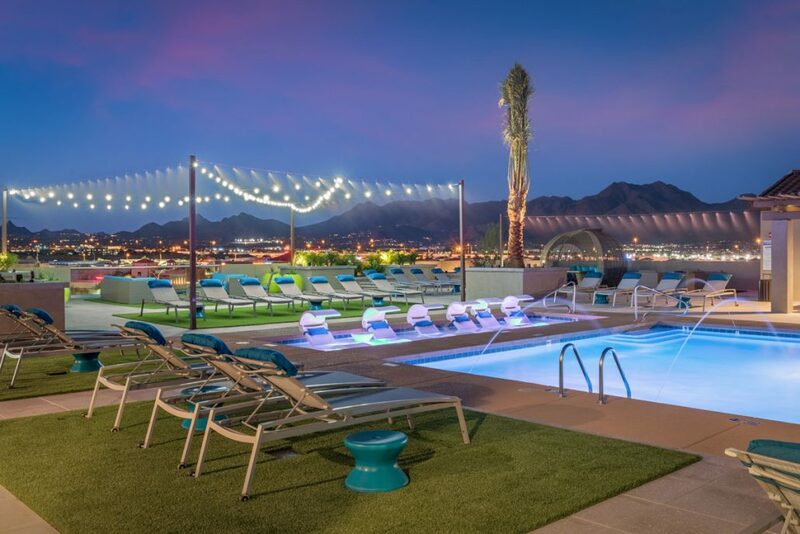 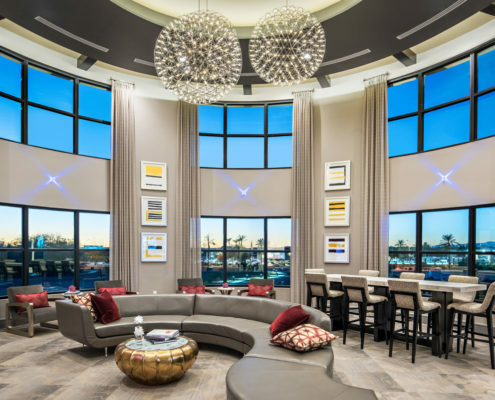 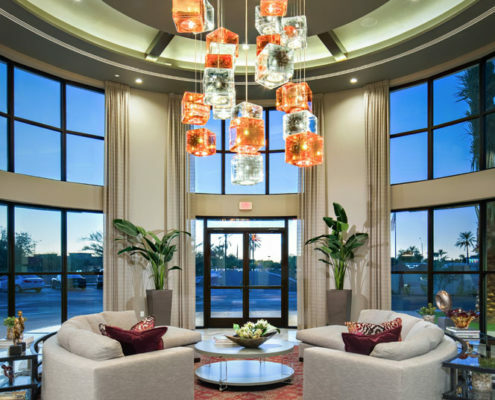 From expansive ceiling heights with floor to ceiling drapery to curved walls and plush furniture, The Core Scottsdale provides a soft elegance for residents to enjoy the panoramic views of the neighboring mountains and cityscape. 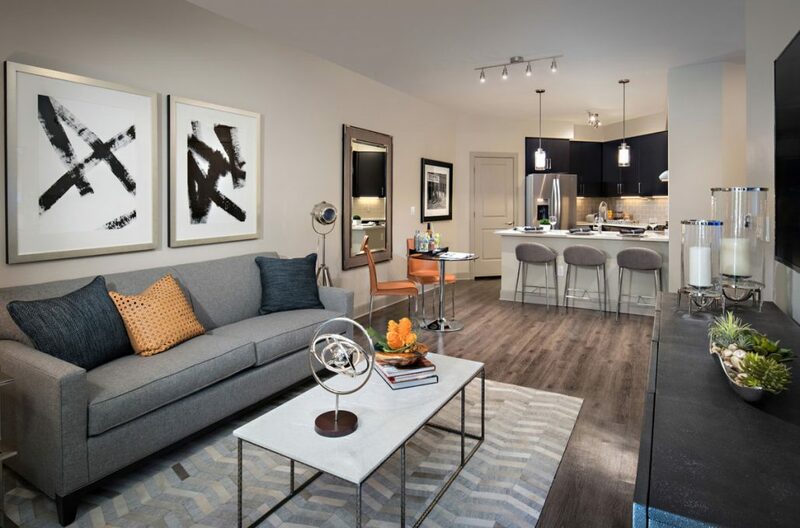 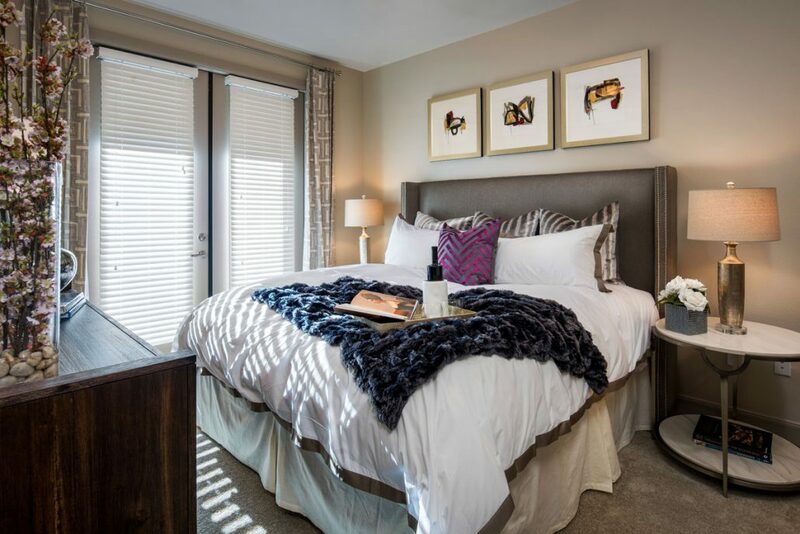 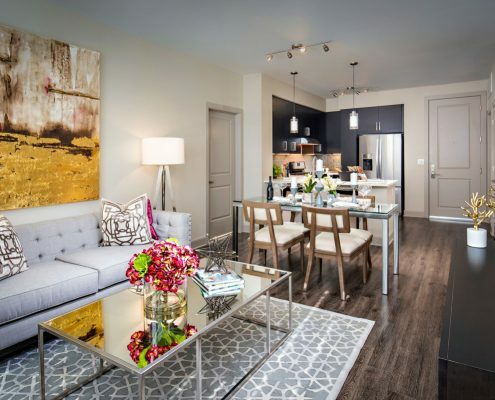 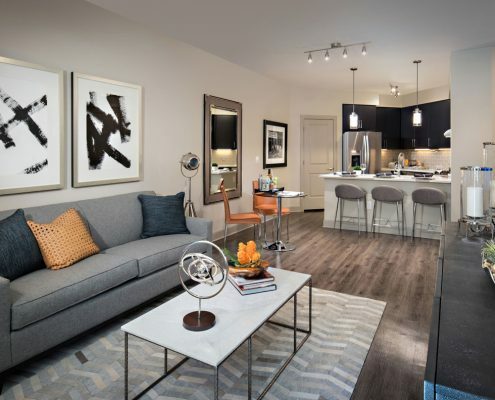 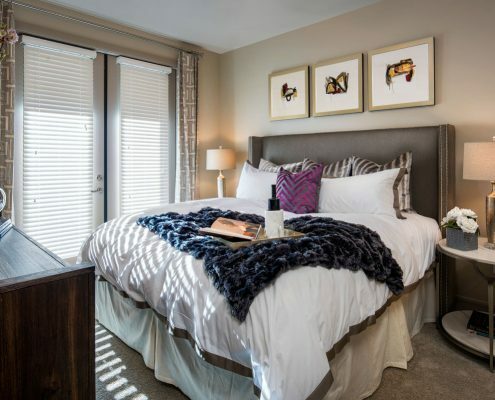 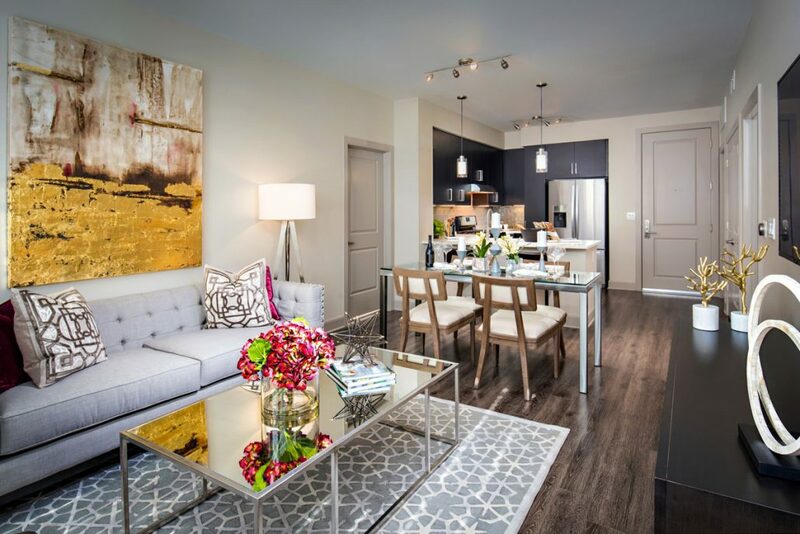 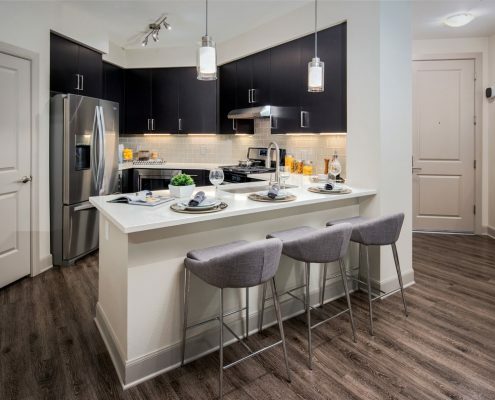 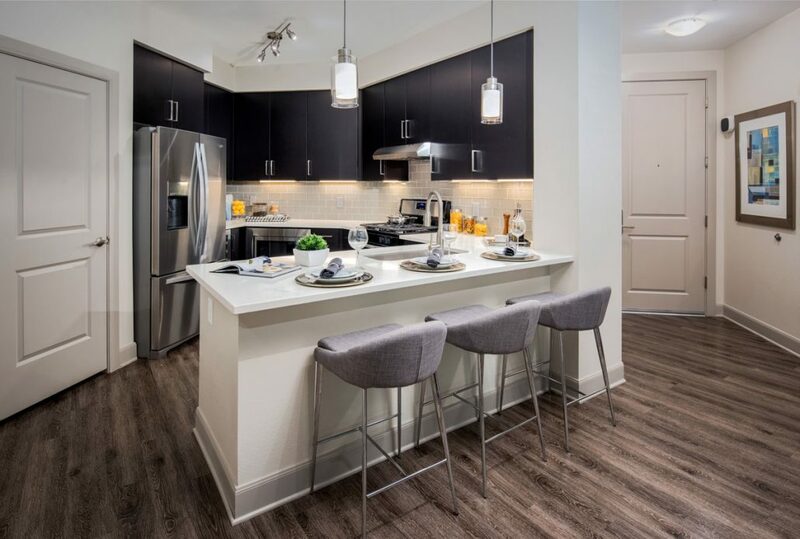 The model units are stylishly appointed with sleek and contemporary furnishings – one showcases feminine touches while the other focuses on a masculine feel. 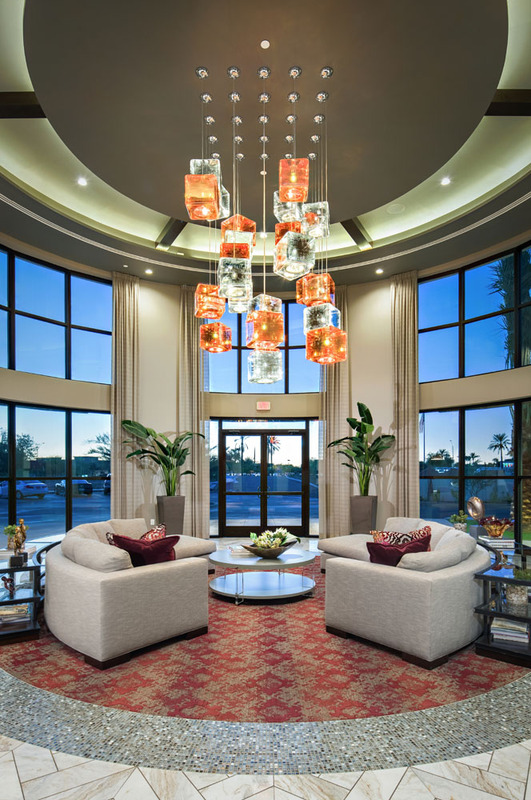 Special care was taken to ensure the scale of furniture maximizes the space of each unit.